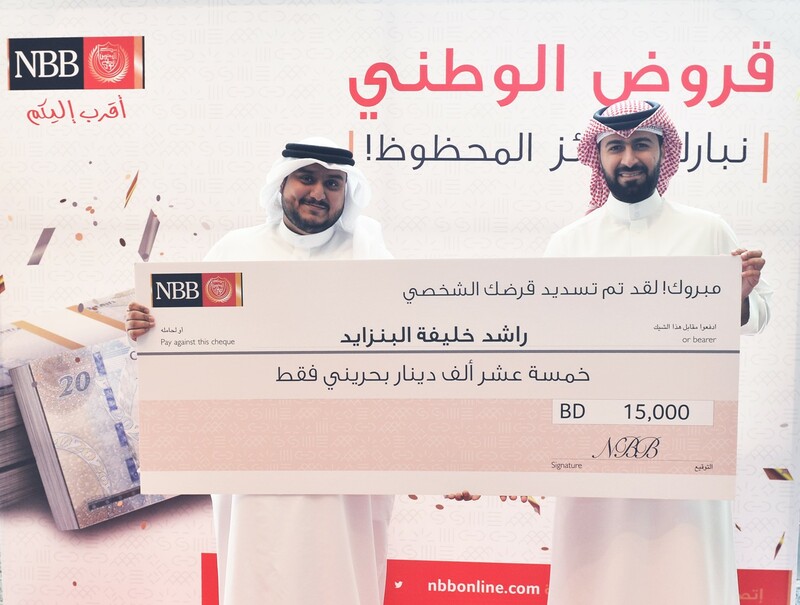 National Bank of Bahrain (NBB) today announced the first loan promotion winner for the Bank’s AlWatani personal loan promotion. The lucky winner was selected through a raffle draw and won back BD15,000 of his loan amount. The winner, Rashed Khalifa Rashed Ahmed AlBinzayed, was presented with the award at NBB’s Manama Main Branch in the presence of NBB’s Management team. The campaign, which runs till the end of December 2018, also gives exciting incentives for new loan customers or those wishing to increase their borrowings with the Bank. This includes giving customers the option to defer the first installment of their loans for up to four months and enjoy a 25% discount on processing charges.